Discover incredible flavor when you prepare this creamy Tuna Pasta Salad! 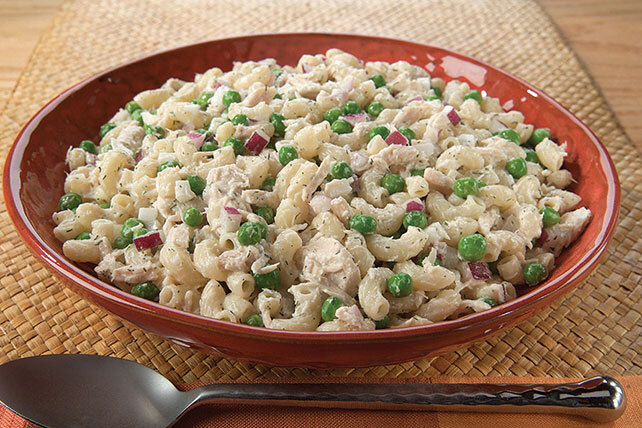 Add green peas, red onions and dill weed to this delicious Tuna Pasta Salad dish. Mix mayonnaise and dill until blended. Combine remaining ingredients in large bowl. Add mayonnaise mixture; mix lightly. Prepare using your favorite small shaped pasta.